As said many times, up to now I wasn't very fond of D-Ring or any type of 1/4"-20 thread screws other than the simple ones with a hex socket head. 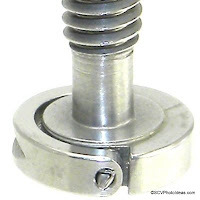 When mounting a camera plate or fixing a heavier rail requires some extra torque when tightening the screw. 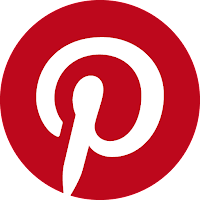 Nonetheless, this can only be attained using an Allen hex key. 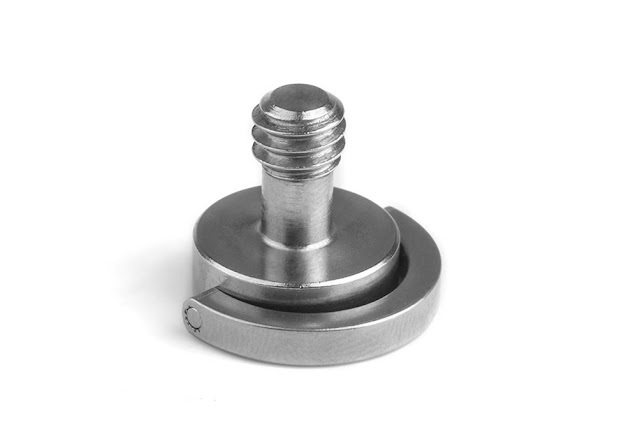 The hex key, due to its shape can provide that little extra torque required to secure a plate in place firmly. 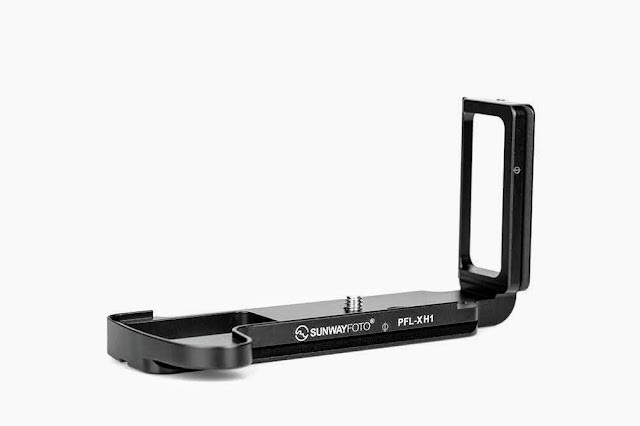 On the other hand, there are users that prefer a simpler and easier way to mount a plate without being in need of an extra tool, which may be lost in the field or forgotten at home. D-Ring, Coin driven or thumb screws come to fulfill this demand, but this type of screws are a little large to fit under some types of plates and especially multipurpose rails. 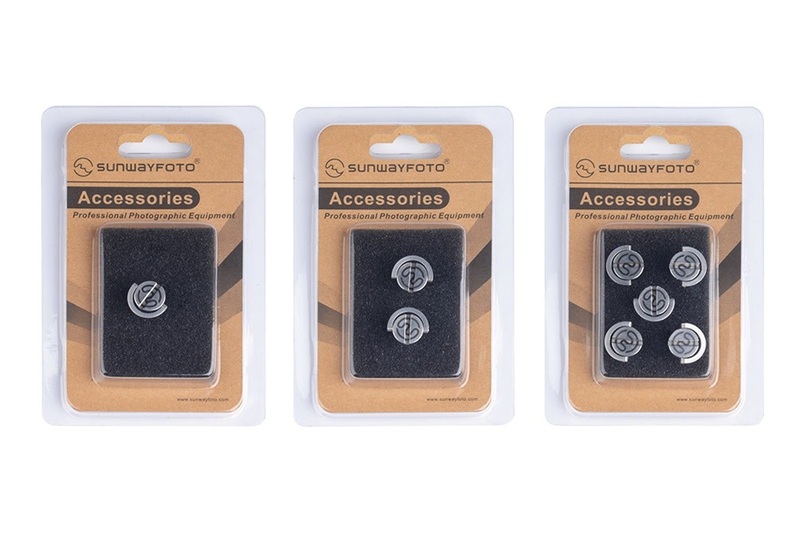 With all these in mind, Sunwayfoto has introduced a new Stainless Steel hinged D-Ring 1/4"-20 type screw, with lot's of strength to hold up to 50 kg. 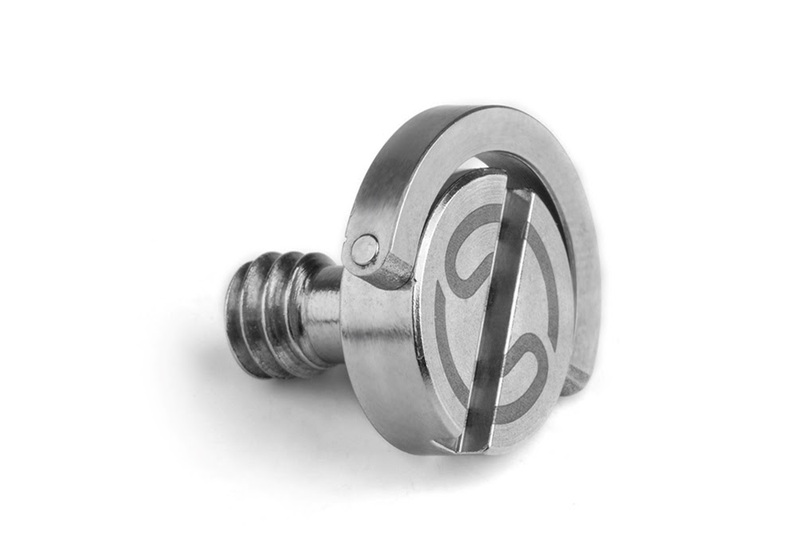 The QRS-01 is of captive type with a 5 mm neck behind the screw thread. 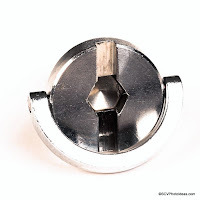 Besides the D-Ring though there is also a coin or large flat screwdriver slot in any case. The difference with the standard D-Ring screws and the QRS-01 is the head diameter of 20 mm vs 17 mm with D-Ring included. 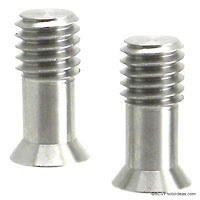 This means QRS-01 fits more plates and rails than usual, but still it is larger than a common hex socket screw head. 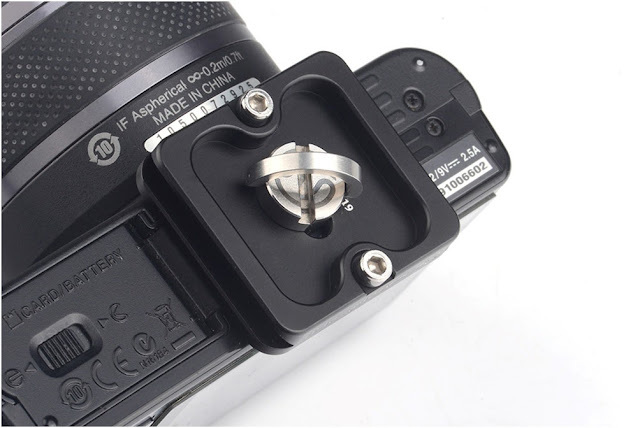 The QRS-01 due to the size of its head plus the D-Ring can be used only with plates or rails with ample space around the captive slot and sufficient depth at the bottom. There might be an issue with older slim camera plates, which have neither the width nor the depth to accommodate the screw head and D-Ring. Therefore it would be wiser to check the screw dimensions thoroughly before committing to buy. The QRS-01 screws come in three packaging choices: 1 piece, 2 piece and 5 piece packs. 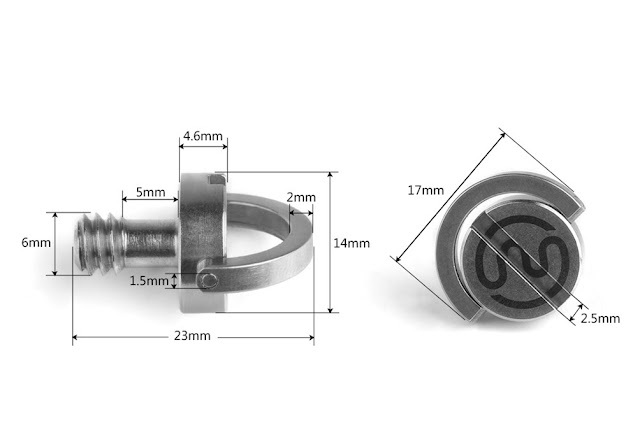 According to my information hence forward a lot of upcoming Sunwayfoto plates and rails will be supplied with these D-Ring screws as standard.